This beautiful, turn-key home offers a perfect setting for gracious living and entertaining. Nestled on a lovely lot, the living spaces are enhanced with classic architectural detail: built-ins, crown moldings, beautiful flooring and abundant natural light. The circular floor plan makes entertaining a breeze, with stunning primary rooms that include a spacious living room, formal dining room and a renovated kitchen with a sunny dining area. Surrounded by built-ins, the family room fireplace evokes sophisticated New England-style. Upstairs, there are 4 bedrooms and 2 full baths. The owners suite is fabulous, complete with a dressing room, abundant closet space and luxurious bath. Each bedroom possesses its own personality; all have great space for furnishings and wardrobes. The lower level is every entertainers dream, complete with a custom wet bar, spacious recreation room, a bedroom and a full bath. The lower level bedroom is used by the current owners as a home office and is large enough for two computer stations. Outside, the yard is enhanced with a beautiful stone patio, mature plantings and a fence along the back. 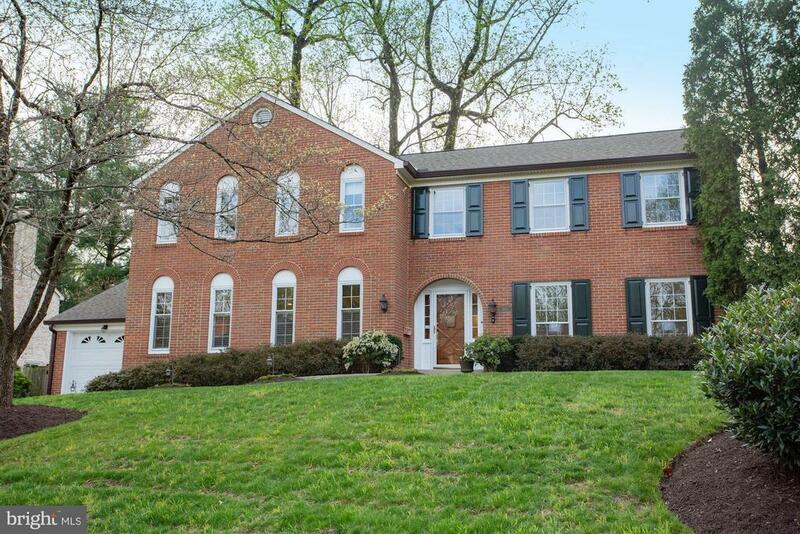 This home is located on a gorgeous street in the heart of Bethesda, with easy access to downtown, DC, Northern Virginia and the areas finest public and private schools. From the stunning architectural appointments to the beautiful setting, this home elevates the concept of form and function to a sophisticated new level.